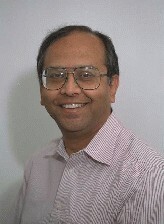 A computer engineer and HP Fellow, he was widely recognized as an expert in the field of Very Long Instruction Word (VLIW) computing, which is the basis of today's Itanium processor family. He was the Chief Architect of the Cydra 5 mini-supercomputer, one of the first commercial VLIW products. In 1984, he was co-founder with David Yen, Wei Yen, Ross Towle, and Arun Kumar of Cydrome, a computer company started in 1984 in San Jose, California whose mission was to develop a numeric processor. In order to improve performance in a new instruction set architecture, the Cydrome processors were based on a very long instruction word (VLIW) containing instructions from parallel operations. Software pipelining in a custom Fortran compiler generated code that would run efficiently. The company closed after roughly 4 years of operation in 1988. Many of the ideas in Cydrome were carried on in the Itanium architecture. As Chief Architect at Cydrome, he helped develop the Very Long Instruction Word (VLIW) technology that is now standard in modern computer processors. He joined Hewlett Packard (HP) in 1989, where he began HP Lab's research program in VLIW and instruction-level parallel (ILP) processing. This resulted in the development of the Explicitly Parallel Instruction Computing (EPIC) style of architecture that is the basis for the IA-64. He became Director of the Compiler and Architecture Research (CAR) program. Through 1998, CAR developed the advanced compiler technology for EPIC. The resulting research compiler, Elcor, has been released to the research community as part of the Trimaran research infrastructure. He received his Bachelor of Technology degree from the Indian Institute of Technology, Madras, India. He then received his Masters and Doctoral degrees in Electrical Engineering from Stanford University. While working at HP, he was an Adjunct Professor at the University of Illinois, Urbana-Champaign. He was also a consulting professor at Stanford University. He holds 15 patents and produced numerous research publications in the areas of VLIW, EPIC, high-performance computing and automated computer system design. He also co-edited a book on instruction-level parallelism. He was the recipient of the 2002 IEEE Computer Society’s prestigious Eckert–Mauchly Award. He was also named an Association for Computing Machinery (ACM) Fellow. In 2002 he lost a long battle with cancer.